Adoption, and adoption reunion, and the focus it puts on family relationships is a fascinating subject for discussion. And a sensitive one. In my experience, I had friends who I did not know had been adopted until we started discussing ‘Ignoring Gravity’. So please bear this in mind when discussing these topics with your Reading Group. How important are genes to our sense of identity? Are we who we are because of our family or because of our life experiences? What events in your life have shaped your sense of who you are? Rose feels an enormous sense of betrayal when she finds out that everything she knows about her family is a lie. How would you feel if you discovered that close family members had been lying to you all of your life? Bizzie, Rose’s grandmother, kept the adoption secret because she had made a promise. Rose accepts this, understanding the loyal commitment made by that promise. Was Rose right to react like this, or should she have taken her grandmother to task? Can it sometimes be kinder to tell a lie, than to tell the truth? What circumstances do you think this would be acceptable? Have you experienced family secrets across the generations? How did it make you feel? Rose feels split between Rose and Alanna, as if she has twin personalities. She is Rose and, at the same time, not-Rose. Have you ever felt like this? Or do we all have multiple personalities: one for family, another for friends, a work personality, another version of ourselves for our partner/lover, and a core self for when we are alone? Rose has reached her early thirties and is beginning to feel she will never succeed at work. She feels sidelined and under-appreciated by her boss Sam, who dismisses her suggestions but accepts all those of her fellow journalist Frank. Is Sam a dinosaur, or do senior managers like him still exist? Have you experienced sexism in the workplace, if so how did you deal with it? When she first finds out she is adopted, Rose wants to do all the research work herself. She shuts out her sister Lily and lacks the patience to communicate with her father John. Lily accuses Rose of being selfish, that by insisting on searching for her birth parents she is hurting her adoptive family. Is Lily right, or is she being selfish too? The stigma for unmarried mothers in the 1960s was severe; some girls were given impossible ultimatums by authoritarian parents, being forced to give their baby up for adoption. Is there still social stigma about unmarried mothers today? Does society still put the blame on the pregnant girl, but the boy involved slips away without stigma? 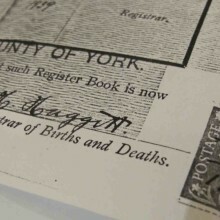 How much do you know about your own family history? Have you, or a relative, researched your family tree? What do you expect to find? Where did your great-grandparents live, and what were their jobs? The mother and baby home in which Rose was born is based on a real place. Do the rules and regulations of Westmead Home for Ladies seem unreasonable to you? Do you know anyone who gave birth, or was born in, a mother and baby home like this one? Diaries play a key part in Rose’s search for the truth. Do you keep a diary, and what do you write in it? The truth, or a version of the truth? What would you do if it was made public? And where do you keep it, is it carefully hidden? Rose uses her journalistic skills when she is searching for her birth parents, knowing where to find documents, how to ask questions, writing a logical research plan. Have you ever faced a challenge involving research into unknown territory, where you were afraid of what you may discover? What happened? Read some of the reader reviews for Ignoring Gravity here.